Every so often, we like to poll NarniaWebbers about the most basic question: Which of the seven Chronicles of Narnia by C.S. Lewis is your favorite? To vote, go to the homepage. The “Opinion Poll” is in the upper-right corner. If you are like many readers, the answer to this question can change over time (even day to day). But at this moment, which book would you give the top spot? Post a comment below to explain your vote. I was really torn between Silver Chair and Horse and His Boy, but ultimately I chose the latter, as I enjoy the adventure, the friendship and blossoming romance, the immersion within the world of Narnia, and the messages – Aslan never telling anyone any story but their own is a principle I have to remind myself of often in life. This is like trying to choose between you five senses: you need all of them! The Chronicles are such a complete whole. I finally chose HHB because it has consistently captured my imagination. I was torn between that and MN for its unique and fairytale-like way of handling really deep issues, besides just being a fabulous story. Oh, ditto! I ended up going with Prince Caspian just because it felt right in that moment, and because it has a lot of scenes that capture my imagination and stick with me… maybe more than any of the other stories, but it’s so hard to say for sure. Sometime I want to re-read through the whole series and try to tally up all of the parts that move or inspire me. I feel like that’s the only way I’ll ever really be able to rank them! This is cruel! I’ve always loved HHB, but PC is even better (sometimes) and is often neglected. I voted for PC because after LWW you already know Narnia and in PC it is focused more on the sense of adventure. Last Battle without a doubt. It’s always been my favorite, plus, it brings all of the stories together at the end! One of the best finishes in literary history! Is really hard to pick just one book. But I’ll pick The Last Battle. For everything the false Aslan, the battle between the good and evil, the return and encounter of everyone and a beautiful ending. I absolutely agree that the Last Battle was the best book. As Mario said, it has everything, good versus evil and a beautiful ending. As a Christian, I found it to be an amazing story. My second choice was the Horse and His Boy because of the adventure and the nuggets of truth as noted by Ariel_of_Narnia. 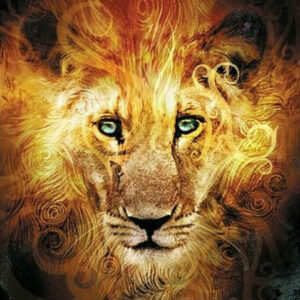 When I first got into Narnia, I was definitely PC and SC all the way for the adventure, but after a few years, the beautiful nuggets of truth in HHB (mainly, Aslan’s "I am the Lion" monologue and consciously connecting Shasta’s journey together in light of it) won out and rocketed to #1 for me. Second, though, is LB because the descriptions of the Real Narnia touched me so deeply, I very nearly cried. But, as Anfinwen has said, you need all of them to make the complete whole. Oh my word I love all of them! But I think the silver chair is my favorite because I relate so much to Jill Pole. The Silver Chair is also my favourite book (by a very small margin) mostly because of the fact that it contains PUDDLEGLUM. Puddleglum is funny yet profound, simple yet wise and unassuming and yet really the hero of the entire book. Oh, don’t be such a wet blanket! Interesting! No one jumps to say "Lion/Witch" is best. (Maybe we agree it’s great, but it gets too much attention???) Me, I can’t name favorites: I have 4 favorites (TMN, VDT, HHB, LWW) and 3 2nd-favorites (SC, PC, LB. I like your way of putting it. I think I can say I have two favorites (HHB and MN), but to do so I have to close my mind and not think about all the great things I like in the others. LWW, PC, and SC would tie for second with LB and VDT in third. I tend to read the book, or at least passages of it, once a year. I love the BBC and Disney/Walden versions. It’s just the greatest. But if I had a second choice, I’d pick "The Magician’s Nephew." This is tough. But I’d have to say Voyage of the Dwan Treader is my favorite. I just the idea of sailing into the unknown, I enjoy the episodic nature of the story how each island is different, plus I love the arcs of Eustace and Reepicheep. The Horse and His Boy is a close second for me. I love the story, the character dynamics, and Shasta is my favorite character in the series. I always loved Voyage of the Dawn Treader the most of all the Narnia books. Sea voyages fascinate me– especially those which go to the end of the world. In that book the voyage seems so real. I also loved the islands in VDT such as Ramandu’s island. When stars become people it gives them a special character. My favourite is the lion ,the witch and the wadrobe .It’s just awesome..